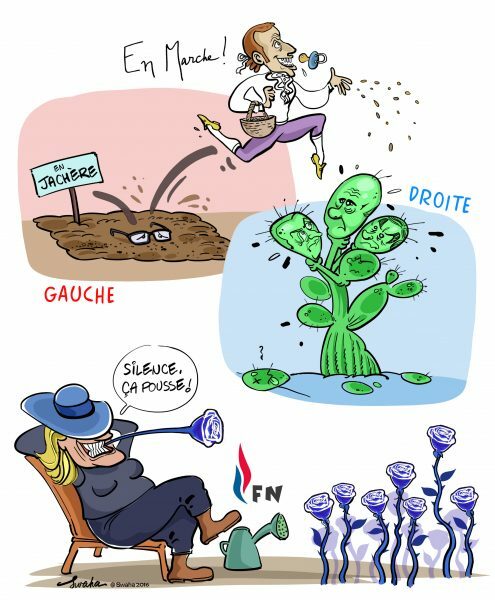 Cartooning for Peace / Editos / France : la campagne présidentielle est en marche ! 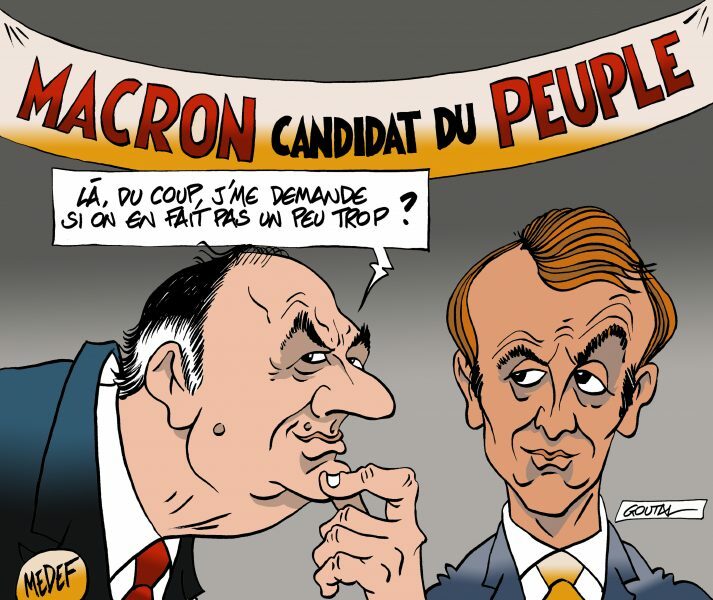 France : la campagne présidentielle est en marche ! Après les élections américaines qui ont provoqué un séisme planétaire, la campagne présidentielle en France est sous haute surveillance. L’élection inédite de Trump, candidat « anti-système », va-t-elle influencer le prochain scrutin en France ? 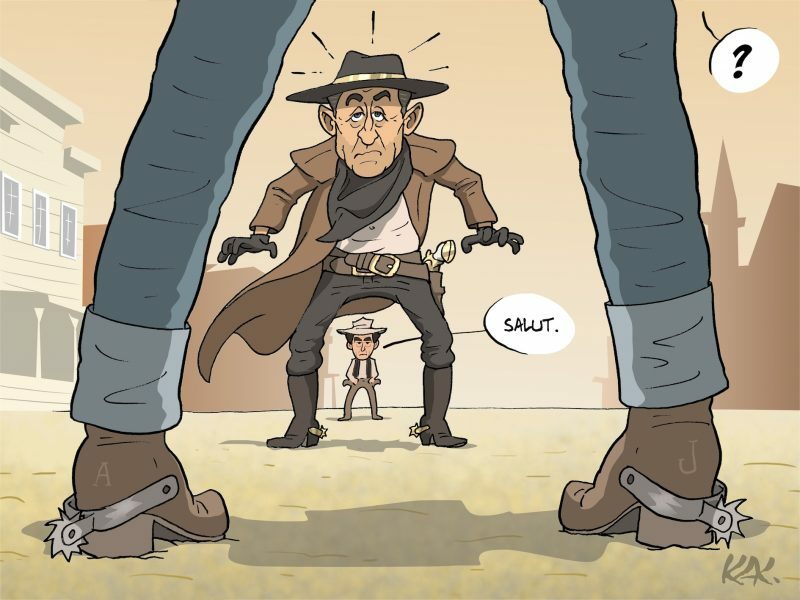 "Underway" Emmanuel Macron - On the cactus, the right wing candidates Juppé, Fillon, Sarkozy - Marine Le Pen: "Silence, it is growing !" 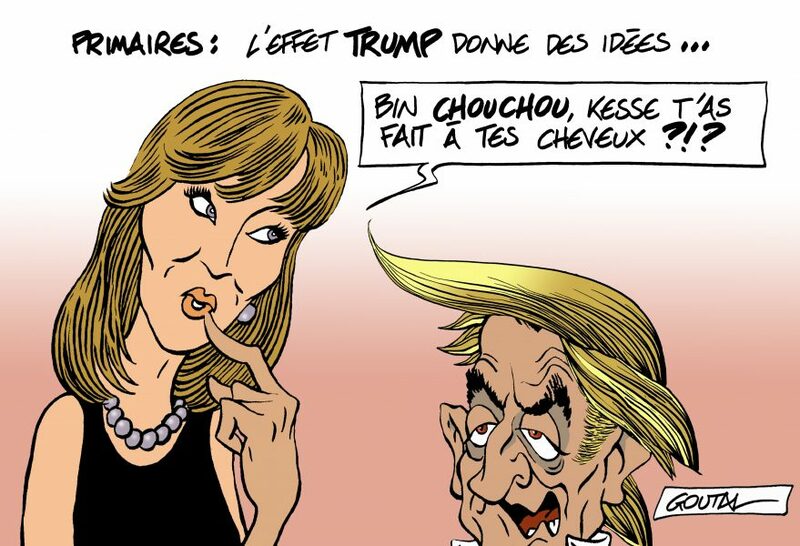 Primary: Trump's election gives some ideas... Carla Bruni-Sarkozy to her husband Nicolas Sarkozy: "Oh honey... what did you do to your haircut?!?" 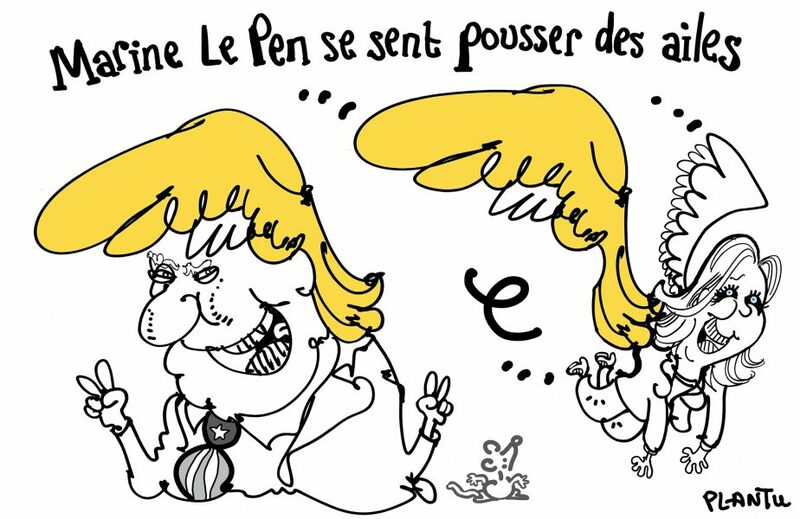 "Marine Le Pen feels her wings spreading"
On the PS car the name of the different left wing candidates. "We need to change it! We have plenty of spare wheels!" "We will wait until it runs deflated!" 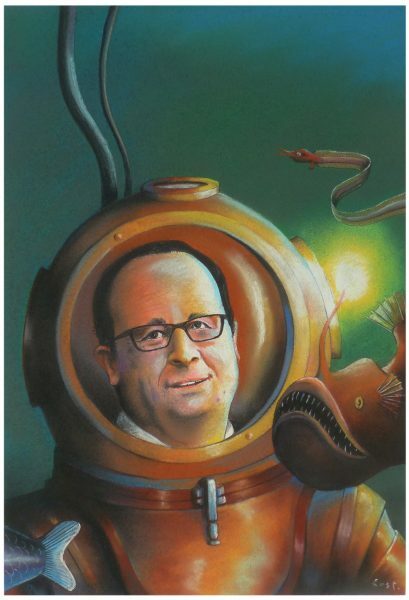 "Macron, the new presidential candidate" "What makes him so special?" "He has no party!" 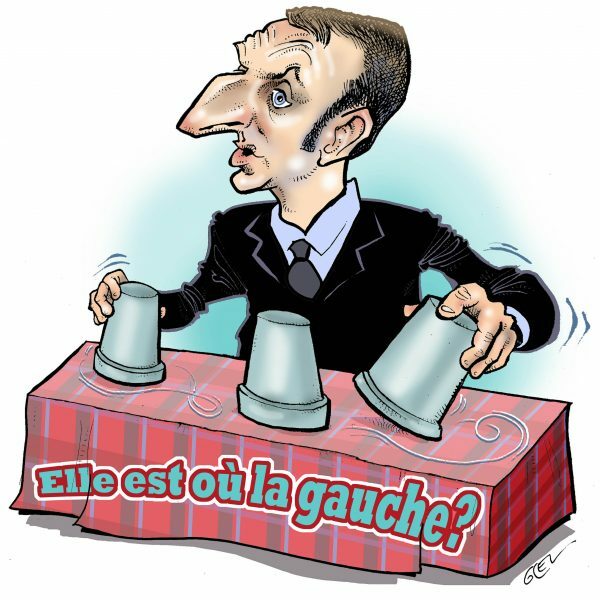 "Macron, people's candidate" Pierre Gattaz, the MEDEF President (Movement of the Enterprises of France), to Macron: "Maybe a little bit too much this time?" 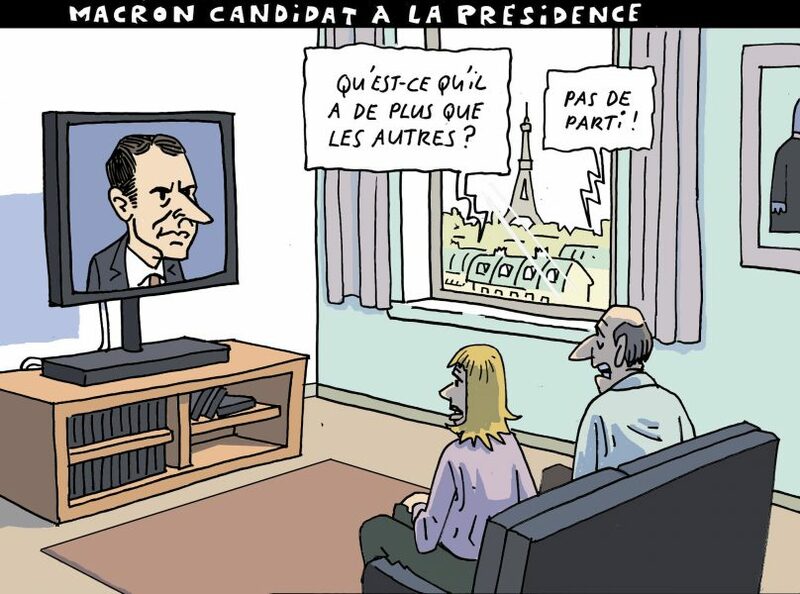 Macron: "Where is the left wing party?" 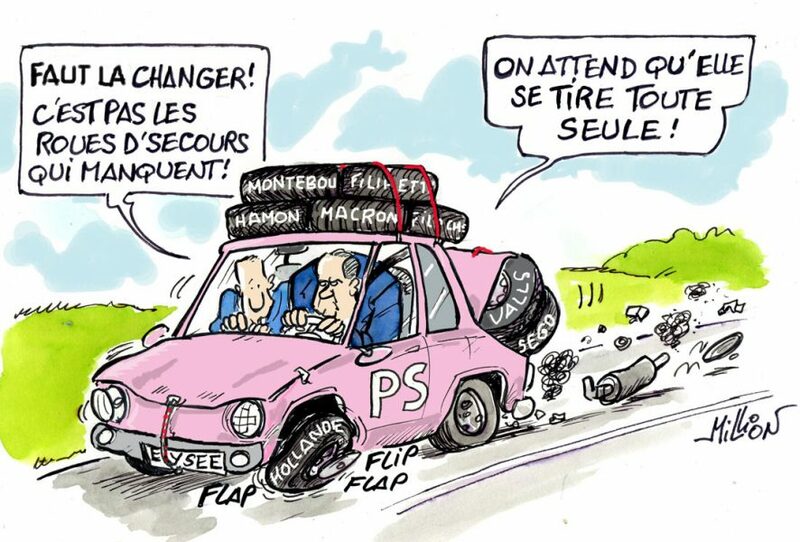 "Right wing primary polls conversion into pain au chocolat price"